Weather forecasters are warning Puget Sound residents to plan now for a colder, wetter and snowier winter…and the possibility of snow by the end of this week. With a La Nina weather pattern bringing more cold weather to the region-think snow-you’ll want to be prepared. For the scary stuff on how to cope, go to a new website prepared by King County, the City of Seattle and Puget Sound Energy: Take Winter by Storm. 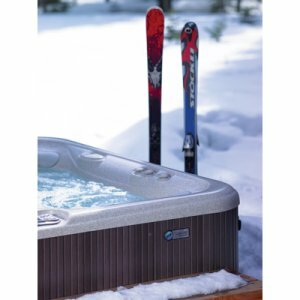 For the fun way to cope, come to Olympic Hot Tub and really take winter by storm. Are you ready for snow? Install a Hot Spring Spa now and you’ll be set. Winter hot tub soaking brings it’s own joys. Don’t be without the #1 way to cope with a snow storm this winter: a Hot Spring Spa. Old Confucian saying: The wise person will install his Hot Spring now while the delivery crew can get to his home.